Mike Gogulski under Creative Commons Attribution ShareAlike 3.0 License. Consider whether getting a new Social Security number will actually help you. If you are a victim of identity theft, getting a new number may not solve your problems, and it's not recommended by the Social Security Administration (SSA). But the SSA will allow you to get a new Social Security number if you can prove that somebody has stolen your number and is using it illegally, or if you've been a victim of domestic violence. Change your name before you apply for a new Social Security number if you are planning to do so. Fill out the application for a new number. You can find it on the SSA website, ssa.gov. Bring your support documents. You need your original Social Security number, proof of age and US citizenship or immigration status, proof of identity, and evidence of your legal name change if you've changed it. You need original documents, not copies. Go to the nearest Social Security field office. You must do this in person. You can find the nearest office on the SSA webpage. Contributor. "How to Get a New Social Security Number." 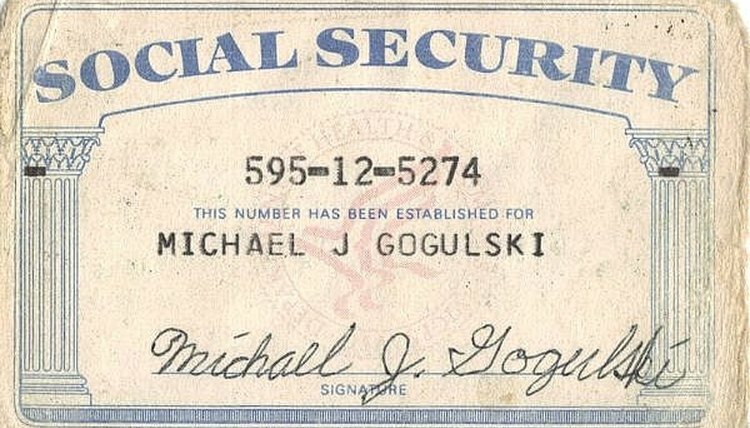 , https://legalbeagle.com/5217852-new-social-security-number.html. Accessed 21 April 2019.